Starting from around 2012, the use of ransomware scams has grown internationally. There were 181.5 million ransomware attacks in the first six months of 2018. That marked a 229% increase over this same time frame in 2017. According to NBC News, Ransomware is a billion dollar a year crime and growing. 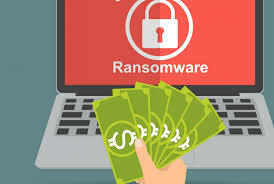 Tallying it all up, Cyber Security Ventures predicted ransomware damages would cost the world $5 billion in 2017 and climb to $11.5 billion in 2019. Those figures are up from just $325 million in 2015. This is alarming, but the real question Mr. or Mrs. Small Business Owner (SMB), is how are you going to protect your business and your way of life? This question is the reason we’ve written another blog post on the subject to go along with the other blog posts we have written about Ransomware. In light of these facts, business owners should be paying close attention to this type of crime and they should be defending their businesses against an attack. But we have our doubts about how closely they follow this global crime and how they are defending themselves. Here at DTS InfoTech, we talk with business owners from time to time who will confide in us that they don’t really understand Ransomware and they’re not sure how to go about defending themselves so they call us looking for some help. We’re glad they call us! As an IT Services company, we support over one hundred SMB’s in the Portland, Oregon metropolitan area. One of our core beliefs is that a business should never, EVER lose their company data due to criminals, or carelessness, or natural disaster. This data they depend on every day to conduct business. Having said all of that, this blog post is a general post on the topic of Ransomware. From this post, you can access in one-click our other posts about this topic. So let’s get on with our thoughts about defending your business from a Ransomware attack. When we use the words defend and protect, we mean a successful defense and protection you can depend on. If you plan ahead, purchase the right hardware, software, and expertise, you will be successful in defending your business. In fact, we like to say “ Ransomware? Business owners never, EVER, pay ransomware!” We only say that because it’s true. Whenever we read statements from companies declaring, “Well, we had to pay the ransom. There was nothing else we could do. We had to pay it.” It makes us want to scream because it's NOT true. Again, our mantra is you never EVER pay the ransom. The best defense against a ransomware attack is a solid and tested data backup and disaster recovery (BDR), plan. Again, here at DTS InfoTech, news stories about successful ransomware attacks drive us crazy. Why? Because it is so unnecessary! The technology available today from our partner Datto is very affordable for small businesses and it will keep your data safe from ransomware attackers. As data is the nucleus of today’s businesses, ransomware has the potential to take out even the most stable businesses in a matter of minutes. While a growing number of companies are leveraging the recommended solutions for protection, such as backup and disaster recovery technologies and anti-virus software, many are not. The latter group, the businesses not using recommended solutions for protection, include a large number of small businesses who typically operate without a dedicated in-house IT expert. They’re further handicapped by using old, antiquated systems, that are NOT recommended. Smaller businesses rely just as heavily on data as bigger organizations, yet they often operate without the proper data protection and BDR plans in place to defend against, prepare for, and recover from a ransomware attack. You can educate yourself pretty easily by reading everything you can about Ransomware. Begin right here in our Learning Center. We have several blog posts that will help you get your feet wet, so to speak. Think about this for a moment. What if you had an exact copy of all your data tucked safely away from the crooks? When you have data that is backed up, you will not need to pay a ransom to get your data back now, would you? You could just access your data from your data backup, right? Easy peasy. Back up your data locally (at your own physical location) and to the cloud. If companies have data backed up that is kept in a secure location, even if your systems are attacked and become infected, you can easily and quickly (quick as in minutes) access your data off good backups. This means you pay nothing, nada, zero dollars to the attackers to get your data back because you already have your data; just go get it. 1. Your business will NEVER have to pay hackers ransom to get critical data back. EVER! 2. Your business will AVOID DATA LOSS - from ransomware or a disaster - since backups are taken frequently and can be restored quickly from several locations. 3. Your business will NOT experience significant downtime (since users can access critical data and applications while primary systems are being restored). You’ll see a lot of advertising about losing data due to fire, theft, flooding, tornado's etc. And while those disasters are legitimate, the bigger threat, in our considerable experience, is employees who simply make mistakes. They click on links or open email attachments that are infected and the Ransomware virus has gained a foothold into your company. Employees need to be trained and tested on a regular basis about the dangers we all face using computers to do our jobs. This happened to me personally. Me too? Yep! I know how easy it is to let your guard down and open an infected email. You must train employees on how to recognize these malicious emails. And train them again. And then . . . train ‘em again. Get it? Virtually nothing takes the place of being truly prepared. The best defense against a ransomware attack is a solid and tested data backup and disaster recovery (BDR), plan. The best way to do this is to plan for an attack before you ever experience one. Your plan is written down and tested until you know, that you know for sure, your plan works. You have to prepare yourself BEFORE disaster strikes. Being prepared for potential disasters, like a ransomware attack, is key to keeping your business running. It’s not only important to have a disaster recovery solution you trust but to make sure you test it as well. You need to educate yourself and purchase professional-grade hardware and software to backup your existing data. You must train your employees and finally, you must write down a Data Backup and Disaster Recovery Plan (BDR). When you do all of this; relax! A Ransomware attack will be defeated by your business. This post may come across as harsh to some. But sometimes the world is a cold, calculating place and we all need a harsh dose of reality to get on track. "Successful Ransomware Attacks are totally UNNECESSARY. Come on people! " Ransomware?! Yep. If you Google “ransomware”, a cyber-attack on your business in which hackers commandeer a company’s data until a ransom is paid, the resulting headlines and statistics will all point to the same conclusion: this malware has become the most prominent, global threat to business cyber security today. Ransomware? Business owners never, EVER, pay ransomware! We’re really good at this disaster recovery thing. Seriously, we are. On the other hand, most small businesses do not have the technical resources to understand all this geek stuff. If this describes you, we can help.